This course is a discovery-based partnership in which first-year Honors College students will engage with sophomores, juniors, and seniors in the Honors College to aid their transition into a collegiate environment. 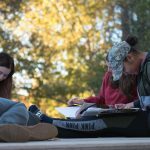 The ultimate goal for each student is to explore and cultivate the four pillars of the Honors College: innovative scholarship, advanced research, cultural interaction, and civic engagement. 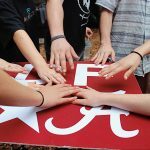 Students will develop an awareness of their personalities, strengths, and areas of interest while learning how those traits impact their connection to The University of Alabama and the Honors College. A fundamental interpretation of this course is first-year students being introduced to all available campus and community resources while building relationships that foster continued participation in the Honors community.